Hide this Project (BPTP Park Prime) Discover properties in other projects by hiding the ones that doesn't interest you. You won't see them in your searches further but you can unhide anytime later. Hide this Dealer (Discover Home)Discover properties by other dealers by hiding those whom you have already spoken to. You won't see them in your searches further but you can unhide anytime later. Hide this Dealer (Prop Magnet)Discover properties by other dealers by hiding those whom you have already spoken to. You won't see them in your searches further but you can unhide anytime later. Hide this Dealer (SCHON REALTORS)Discover properties by other dealers by hiding those whom you have already spoken to. You won't see them in your searches further but you can unhide anytime later. Hide this Dealer (Gulati Associates)Discover properties by other dealers by hiding those whom you have already spoken to. You won't see them in your searches further but you can unhide anytime later. Hide this Dealer (Gayatri) Discover properties by other dealers by hiding those whom you have already spoken to. You won't see them in your searches further but you can unhide anytime later. Hide this Dealer (Manish Khanna) Discover properties by other dealers by hiding those whom you have already spoken to. You won't see them in your searches further but you can unhide anytime later. Hide this Dealer (Gaurav Bhandari) Discover properties by other dealers by hiding those whom you have already spoken to. You won't see them in your searches further but you can unhide anytime later. Hide this Dealer (Brick Strong India)Discover properties by other dealers by hiding those whom you have already spoken to. You won't see them in your searches further but you can unhide anytime later. Hide this Dealer (Invest Gurgaon Properties)Discover properties by other dealers by hiding those whom you have already spoken to. You won't see them in your searches further but you can unhide anytime later. Hide this Dealer (Multiplier Realcon Pvt Ltd)Discover properties by other dealers by hiding those whom you have already spoken to. You won't see them in your searches further but you can unhide anytime later. Hide this Dealer (Makaan Search Realty)Discover properties by other dealers by hiding those whom you have already spoken to. You won't see them in your searches further but you can unhide anytime later. BPTP brings to you BPTP Park Prime located at Sector-66 in Gurgaon. It is an 11 acre integrated township that offers very well designed residential 3BHK and 4BHK apartments along with commercial shops. This project speaks for itself with the choice of indulgent club, sky lounge and efficient space utilization. Enjoy an international lifestyle with world class amenities. The township comprises mid-rise and high-rise group housing flats. BPTP Park Prime is equipped with all world class amenities to give you a lifestyle that is envious and price list which is affordable on your pockets. BPTP Park Prime, get used to the posh life!! Gurgaon is located in Gurgaon district in the Indian state of Haryana and is situated in the southeastern part of the state, and the northern part of the country. The city is located on the border with Delhi with New Delhi to its northeast. Sector-66, Gurgaon is one of the first choices for investors because of their planned housing communities to facilitate a better lifestyle. Located near Golf Course Extension Road, lies near Sector 33, Sector 38, Sector 39 and Sector 45.The sector has various well-known schools, hospitals and malls to make the life of the people easier. Where is BPTP Park Prime located? 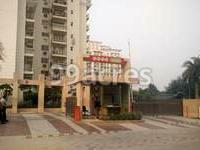 The project is located in Sector-66, Gurgaon. What size of flats are available in BPTP Park Prime? 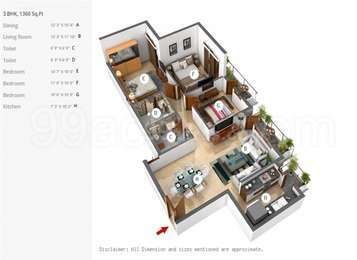 The apartment sizes in the project vary from 1360.0 sqft to 2063.0 sqft. 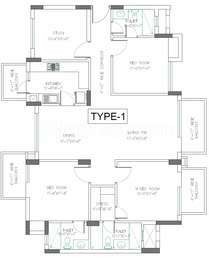 What is the area of 4 bhk in BPTP Park Prime? The size of 4BHK units in the project ranges from 1999.0 sqft to 2062.0 sqft. How much is the total size of BPTP Park Prime?The project is spread over an area of 11.06 Acres. What is the 3 bedroom price in BPTP Park Prime? 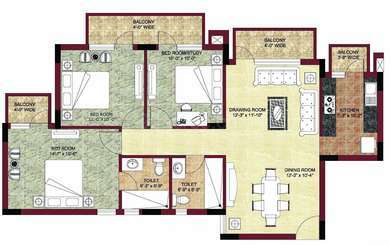 The project offers 3 BHK units within Rs. 9200000 to Rs. 16500000. BPTP are one of the most trusted and acclaimed real estate developers of India. They came into being eight years back, when a visionary Mr. Kabul Chawla decided to give this country a better real estate company. BPTP developers, ever since their inception has been amongst the top builders of Delhi/NCR. Their projects are critically acclaimed and known for their perfect design and optimum space utilization. This is the reason why noted international investors like Morgan Chase and Co., CPI and Merril Lynch have found BPTP worthy of investment. BPTP also holds 51 stake in Vital Construction Pvt. Ltd, which is another bright gem of real estate crown. The company is known for its well-defined, strategically focused portfolio. Their residential constructions like Park Sentosa and Terra are admired not only in India, but globally. I am planning to invest Rs.1 crore in property, would BPTP Park Prime give me good returns in long term? I agree with Myra, and I would also like to tell you that BPTP Builders reputation is not good in the realty market. Homebuyers of seven projects from Gurgaon and Faridabad have protested against BPTP Builders for not delivering the project on time. Please check everything before investing in any project. Are there malls and hospitals located nearby BPTP Park prime project? Does the locality have good public transport facilities? Hi Shobha, located near Golf Course Extension Road, the neighborhood areas include Sector 33, Sector 38, Sector 39 and Sector 45. The sector has various well-known schools, hospitals and malls including Medanta-The Medicity [8 km], Artemis Hospital Gurgaon [6 km], Omaxe Gurgaon Mall [6.8km], Raheja Mall [6.4km] etc. The locality has poor connectivity, staying here would be a problem if you dont own a vehicle. Also, the neighborhood of the project is a little rural.